Many good reviews drew my attention to this book, it didn't really sound like my thing to be honest but because of the reviews I thought I'll give it a go. I wondered were it was going at the beginning and it wasn't griping me, but out of nowhere it did! I grabbed by the throat and wouldn't let go. once it started it didn't stop the was never a slow moment in the book. the story may not have been the most original but the way it was told and the characters were. I think it was a new take on the story of Spartacus. I thought it was brilliant and if you are stuck for a new book to listen to I would recommend Red Rising. I was listening to this book at 3am when I should have been sleeping instead. This is one of the most compelling stories I’ve ever read(heard). Brown skilfully paints a living organism with “The Society” and the story of Darrow is compelling with twists right through to the very end. Reynolds gives an amazing performance throughout bringing each character to life with their own individuality. A MUST read for any science fiction fan. This has been one of the most enjoyable books ever ! I absolutely loved the story, which had so many memorable moments. strongly recommended ! Firstly, I did enjoy this story. It is well written and the dialogue worked for me with a couple of pivot points where the narrative could turn one way or another. That said, there's an awful lot of Ender on Mars here (Ender even gets a hat-tip in a line of dialogue) with a good chunk of Paul Atreides and some obvious allusions to Katniss' story. So much so, that it really began to annoy me in the middle section of the book. The narrator is decent and clear but having the poor underclass speaking with Oirish accents and the cruel elite in mock RP is crass and hackneyed. There's a lot of dialogue and thankfully, the narrator doesn't quite sustain the level of shrieking he delivers in the first third. 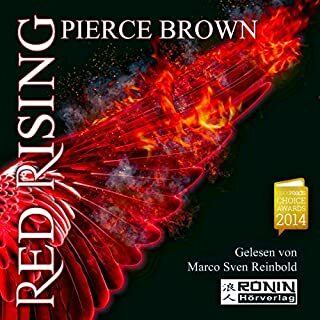 Would you listen to Red Rising again? Why? Fitchner - makes you laugh the way he does the character. great book and really well read. keeps you gripped as you get more into it. What if the world you thought you knew was only a tiny part of a much larger one, one which had been hidden from you? That's the premise behind Red Rising which heralds the start of a roller-coaster tale with familiar elements from similar stories mixed with great characters and new worlds. Highly recommended! 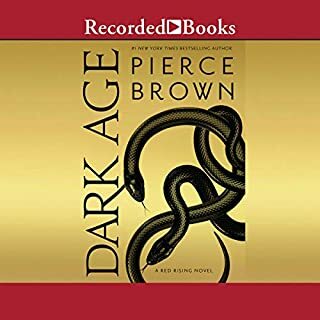 While not your typical dystopian novel, Pierce Brown does a fantastic job of bringing you into this story. 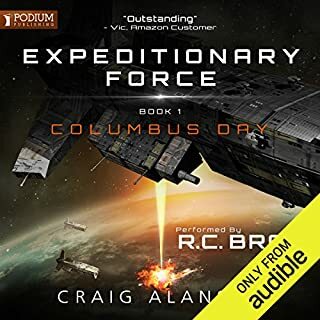 The heavy Sci fi elements only add to the story and make you want to learn more about the way of life for these characters. The story is brought to life through the narration of Tim Gerard Reynolds who puts in a stellar performance. His ability to give unique personalities to each character engages the listener and enables you to fall deeper into the listen. 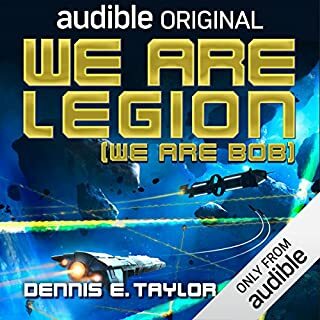 I would highly recommend this audio book for someone looking to get lost in a story. The entire series will capture you and bring you along as the characters grow and you learn more and more about how this society functions. I have had the pleasure of reading some very good books lately. But it has been a long time since a story utterly enveloped like Red Rising did. I found myself completely drawn into the story as the world around me evaporated just like in the scene from the Never-ending Story (that shows my age). So what is it about this book that elevated it above all the other excellent books I have read recently. For me it was the completeness of the book. From the character development to the world it was set in. The author winds the narrative through it all and as he does the world becomes more and more real. 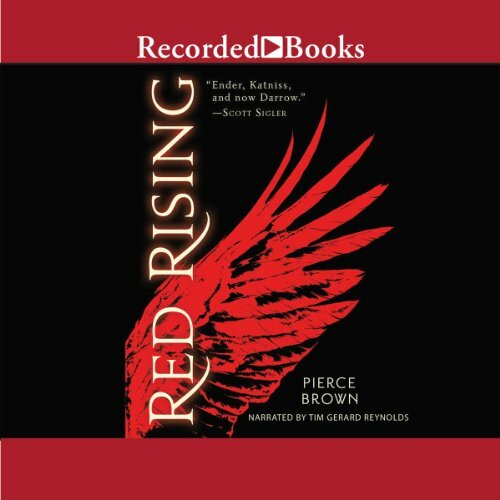 Red Rising tells a tale that's very essence is as old as time. It is how this tale is delivered that makes this book stand out in the crowd. Halfway through the read I was already planning how I could get my hand on the next book in the series. I have not done this for a long time and that indicated to me just how fantastic a read it was. 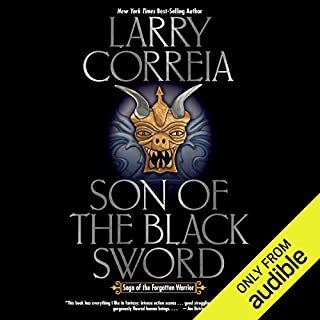 The narraor adds another level to this book as well delivering one the best audible experiences I have had to date. So my hat goes off to Pierce Brown for this truly masterful piece of writing. I recommend this book to all that are interested in being thoroughly entertained. A respun Lord of the Flies meets Battle Royal in a sci-fi Martian setting. I found the story well told and interesting. I found the character grew as the story developed. There was something close to real emotion in the book at times. Though the book has its flaws it worked for me and I will read (well listen) the next book ASAP. However it is a little annoying how one character person can be so great, so brilliant. It is a common trait in fantasy for a character to be so excellent and essentially make decisions with such unerring accuracy that they can come up with the goods despite any set backs. A little less perfection may have made it a bit more realistic. I think he could put more into the secondary characters who some times seem a bit slim (though generally okay). I found my favorite all time book, and that is the Red Raising Series. It had me hooked right from chapter one. The writing in this book is so vivid and so full of imagination. The story is mature, dark and full of emotions, packed with action and the underlying messages / plot makes me reflect on our modern society. The characters are super likable and relatable. It was impossible not to binge this book and onto the next one. It's a sci-fi themed book with a lot of advanced technology and a hint of slavery and segregation. Highly recommended. This was a brilliant book, and an amazing narration. Definately recommended for the science fantasy reader. A well written and narrated story. The lead character is a bit of a golden child who seem incapable of anything but success. The closing scene of the book/ending was an easy and disheartening end to a good book. 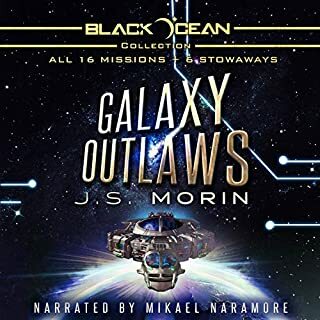 Having read the books twice already, this audible version is a delight to listen to as it weaves through this brilliant first book of Darrows quest.